A cron job is an automated task that is actioned by the server, most people think that a cron runs automatically. This article has been written to show that this is not the case. When a developer has finished designing and developing a Magento website the cron must be activated. If not actioned the following Magento functions will be unsuccessful. To action the cron, the developer will program the server to execute cron.php file every 10 to 20 minutes. This can obviously be changed to how long it takes to run a certain cron (thus minimising cron overlapping). The following will summarise how to set-up cron in a Plesk CP. This will open a new page which can look quite complicated for some users. Essentially this is where the command, time, and dates for the cron are set. Please be aware that the above code needs to be edited in order to work on different servers, do not copy and paste the code. 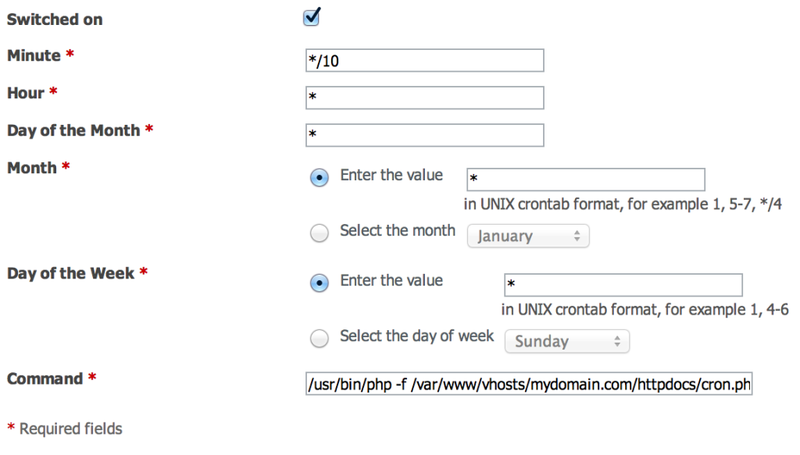 This ends the tutorial on how to set-up a cron job in Magento Plesk.